New 2012-2013 Bag Tags Are In! 4 Weeks Of Renewal Weekly Events!!!! New Bag Tags, Renewals($20) & New Members($25)... UPDATE: If you are a new member and joined the club in the last couple of months... you are automatically renewed - just trade in your tag! New Tags are in we'll start … [Read more...] about New 2012-2013 Bag Tags Are In! 4 Weeks Of Renewal Weekly Events!!!! 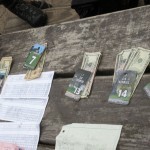 Weekly Round-Up: 7/18/12 Random Dubs & Last Weekly w/ the 2011-2012 Bag Tags! 15 Players and well balanced random teams.. June Gloom and No Wind! The winner goes to... Jon and Jay with a bombing -9!!! JR & Drew / Brian & JJ tied w/ -6.. (Playoff CTP went with Brian & JJ) Taylor & Noah … [Read more...] about Weekly Round-Up: 7/18/12 Random Dubs & Last Weekly w/ the 2011-2012 Bag Tags! SLOThrowers Peter McBride Wins World Doubles! Peter McBride wins World Doubles! Check it out here: PDGA Article and here: PDGA Results ... be sure to follow Peter this week! (PDGA Worlds Entire Field) Go Peter! … [Read more...] about SLOThrowers Peter McBride Wins World Doubles! Filed Under: Our Members Rule! SLOThrowers Very Own Peter McBride Takes 4th In Masters Cup! Yeah Peter!!! 4th. Place in the Advanced Division with a 982 AVG Rating... OUTSHOOTING 155 PLAYERS in the entire field!!! 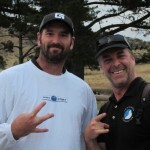 http://www.pdga.com/tournament_results/80173 Also.. honorable mention to 2 other SLOThrowers... Jon … [Read more...] about SLOThrowers Very Own Peter McBride Takes 4th In Masters Cup! Laguna Tuesdays… 3 Way Skins Tie! 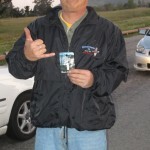 5/8/2012 Laguna Tuesday Weekly... Random Doubles, Skins For Payout... 3 Way Tie w/ One Skin Each! Good Times... … [Read more...] about Laguna Tuesdays… 3 Way Skins Tie! Disc Golf Land Now Offering Used Discs for Sale or Trade-In! 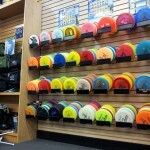 From Golf Land "we are now officially taking used discs as trade in for new plastic! Structure is easy, Innova Star and equivalent plastic is $5 trade in (Star, ESP, Gold Line, Etc..), Champion equivalent is $4 trade in (Champ, Elite Z, Opto, all … [Read more...] about Disc Golf Land Now Offering Used Discs for Sale or Trade-In! 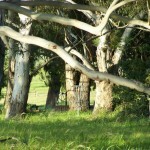 Beattie Park Disc Golf Tournament – Sunday March 25. If you enjoy disc golf, the opportunity to earn cash prizes, and want to help the spread of disc golf in the central coast, come by and support the SLO Throwers and Rocket City Chainbangers Disc Golf Clubs... 18 Holes: $20/Am & $30/Pros. 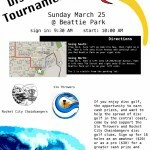 … [Read more...] about Beattie Park Disc Golf Tournament – Sunday March 25. Our Very Own Mark “Head Face” Farrar wins Otter Open! That's right, SLOThrowers very own Mark Farrar wins the 2012 Otter Open!!! Shooting -6 on the day... Mark dominated over 40 golfers and averaged a 1002 rating for the weekend. Also, Big Props to Justin Armstrong for his 3rd. 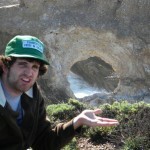 Place Victory in … [Read more...] about Our Very Own Mark “Head Face” Farrar wins Otter Open!